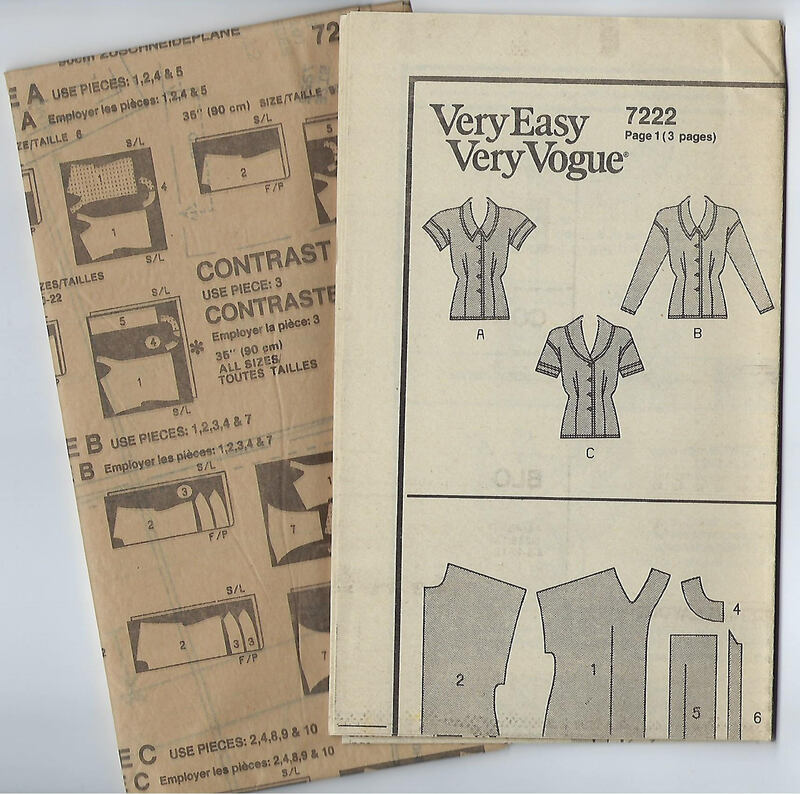 Package includes patterns and instructions to make MISSES Blouse. 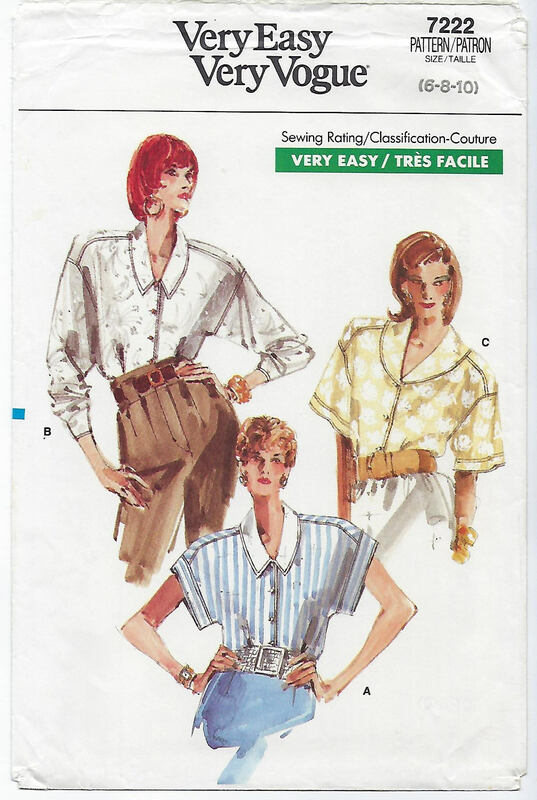 Loose-fitting blouse has collar variations, dropped shoulders, shoulder pads, forward shoulder seams, dart tucks and narrow hem. A: sleeve bands and contrast collar. B: full-length sleeves. 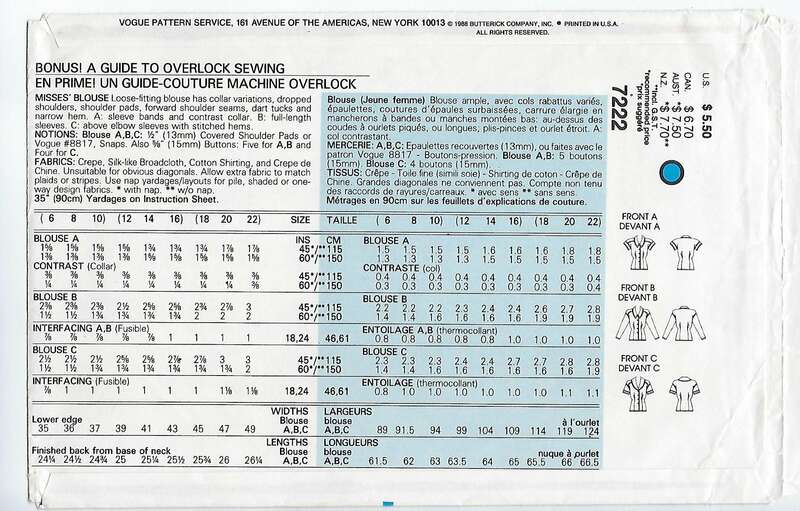 C: above elbow sleeves with stitched hems.